Global Sources Consumer Electronics trade fair in Hong Kong has kicked off, and much like a number of other companies, Ulefone has decided to show off its products. The company has decided to show off two new smartphones at the show floor, the Ulefone T2 and Armor 6. The Ulefone T2 is a phone made out of metal and glass, this device sports a display notch at the top of the display, while it also comes with a thin ‘chin’ below the display, but its bezels are quite thin overall. The phone sports two cameras on the back, vertically aligned, and a fingerprint scanner lies below them. A dual-LED, dual-tone flash is located next to the phone’s main cameras, while Ulefone’s logo is imprinted on the back of this device as well. All the physical keys sit on the right-hand side of the Ulefone T2. The Ulefone Armor 6, on the other hand, is a rugged smartphone, and that is easy to notice by simply looking at the device, as it definitely looks like it can take a hit, while its general shape is rather odd as well. In any case, this phone also sports a display notch, while it comes with two cameras on the back, and a rear-facing fingerprint scanner. As far as specs are concerned, the Ulefone T2 features a 6.7-inch fullHD+ display by Sharp, while the phone is fueled by the Helio P60 64-bit octa-core processor by MediaTek. This smartphone comes with 6GB of RAM and 128GB of native storage, while 21 and 13-megapixel cameras are included on its back. A 16-megapixel camera sits on the phone’s front side, while a 4,200mAh battery is included on the inside of this phone. The device supports both NFC and wireless charging, in case you were wondering. The Ulefone Armor 6 sports a 6.2-inch fullHD+ display, 6GB of RAM and 128GB of storage. The phone is IP68 certified for water and dust resistance, while it is fueled by the Helio P60 64-bit octa-core processor as well, just like the Ulefone T2. A 4,900mAh battery is included inside of the Ulefone Armor 6, while 21 and 13-megapixel cameras are located on the back of this phone. A 16-megapixel camera sits on the front side of the phone, while Freeme skin ships on top of Android on both of these smartphones. 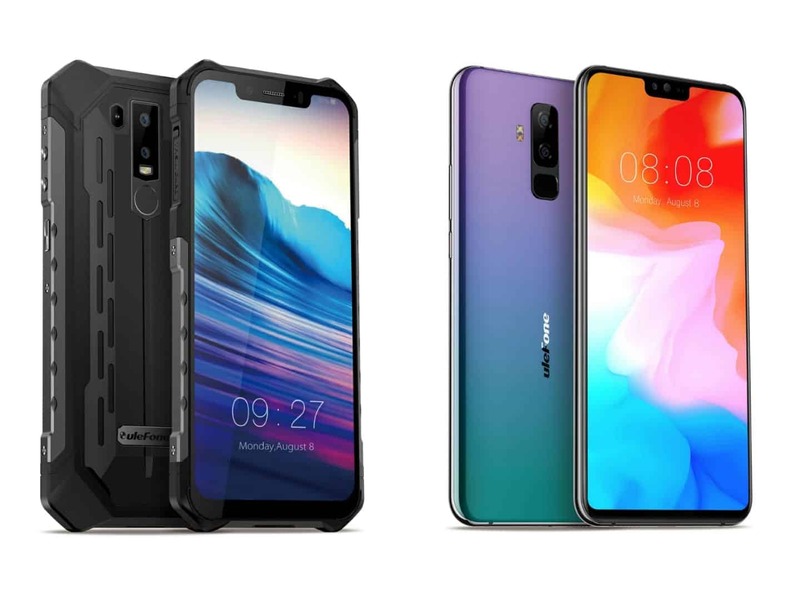 The company did not share any availability info regarding these two smartphones, so well have to wait for more information to become available. You are reading an article on the Ulefone Unveils T2 & Armor 6 At Global Sources Trade Fair. All materials on the site Gadgets F, а также и статья Ulefone Unveils T2 & Armor 6 At Global Sources Trade Fair - written for the purpose of information enrichment and we are happy if you like our magazine.